When I was growing up, my grandmother was always telling my cousins and I that we need to learn to sew. She drilled it into all of our heads, even my male cousins. She told us that the only way to make sure we were truly independent is if we knew how to fix our own clothes if something happened. As it turns out, our grandmother was not wrong. Being able to fix our clothing when we accidentally snag it on something, has been a handy skill. However, what she failed to mention to us is all of the other really cool reasons sewing is a great skill. 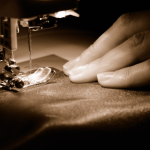 Why Should You Learn to Sew? Don't Know How to Use a Sewing Machine? Are You Ready to Learn to Sew? So, with everything else you have on your plate, why should you learn to sew as well? As I mentioned above, the most basic reason you should learn to sew is that you will be able to fix your clothing if it rips. Research has also shown that sewing is good for your brain. Pretty cool, right? It can also be a great social activity and, finally, once you have it down, you can make useful items for your home and your family. Sewing is a whole brain activity. In addition to learning new skills, you also have to learn to plan your projects. Not only that but every time you sew, you're building muscle memory and synaptic pathways that will let you do it better and faster the next time. That's right; you're fine-tuning your brain. ​Science has actually shown that crafting can be very therapeutic for stress, depression, and anxiety. In fact, sewing can have similar benefits to meditation in that regard. And if that's not enough, these same experts have found that sewing and other crafts can improve your brain's processing speed and significantly delay cognitive decline. So learn to sew. Your brain will thank you. So many of us spend so much of our lives behind a screen that we do not make time for actually making friends in the real world. As a result, a lot of people end up feeling lonely, despite being surrounded by virtual people much of the time. That's bad for real life communication skills, and it's bad for us. Sewing has always been a social activity. From old-fashioned sewing circles and quilting bees to modern "craft-ins," and craft cafes, it's a great way to meet others. There are tons of ways to meet new people and make new friends through sewing. You can attend classes and workshops at local craft stores. Additionally, you can participate in regular crafting meet-ups through organizations like Meetup.com. Many cities now even have drop-in sewing spaces, where you can go to use their equipment, consult with experts, and meet new people. If you want to get out there, sewing is a great way to do it. The most obvious reason, of course, is that if you know just a few basic skills, you can make all sorts of cool and useful things for yourself and others. For instance, you could make Halloween costumes or outfits for school plays. You could also make things like dish towels, quilts, and pillows. Finally, if you find something you like take and learn to make it well, sewing can even earn you a little extra money. So you want to learn to sew? Here is how you get started. First, you'll need to choose your project. One of the best parts of sewing is going to the fabric store and looking at all the lovely fabrics. As a result, it can be tempting to buy fabric you like, then try to figure out what to do with it. Until you learn more about working with different types of materials, that can lead to frustration and waste. So, choose a project first. Most projects have patterns, and patterns will tell you not only what kind of fabric you'll need, but will also give you an idea of the skills and techniques that are necessary for finishing. When you're just starting out, it's a good idea to stick to patterns aimed at a beginner skill level. Commercial patterns are often marked "easy," or "beginner." Also, the back of a pattern will tell you how many pieces you'll be working with on your project. The more parts, the more complexity. If your project has a lining, this will also add complexity. Alternately, you can visit your local fabric store, and check out their selection of patterns, to see if one tickles your fancy. Some people say that sewing and buying sewing supplies are two different hobbies. How true it is! For many of us, a visit to a fabric store is like a visit to a toy or candy store. We want to touch everything and grab the one we like the best. But if you're working from a pattern, it's important to use the kind of fabric the pattern recommends. Even if you're not, some fabrics are more natural to work with than others. If you want to experiment, a lot of fabric stores sell remnants. 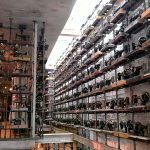 Remnants are small pieces of fabric that come from the ends of bolts or customer returns. It's a good, and inexpensive, way to familiarize yourself with different kinds of fabric. Fat quarters, 18" by 22" pieces of quilting cotton, are also a cheap way to buy small amounts of different fabrics. When you first learn to sew, the last thing you need is aggravation caused by difficult fabrics. Choose materials that will hold their shape. Avoid stretchy, slippery, or textured fabrics. Some good fabrics for a first project include quilting cotton, light denim, linen, muslin, and cotton corduroy. Muslin, in particular, is a great beginner medium. It's inexpensive and easy to sew. As a matter of fact, many design houses make their clothing prototypes out of muslin before going into production. You might have noticed that these are woven, rather than knit fabrics. Woven fabrics stretch less than knitted ones. When it comes to frustrating fabrics, the biggest offenders are stretchy materials. When you cut them, you may inadvertently stretch them during cutting, and produce misshapen pieces. The higher the stretch, the harder the fabric is to stitch. Slippery fabrics are also tricky. When you're just beginning to learn to sew, sewing two slick pieces together can be like trying to catch a fish with your bare hands. Satin is notoriously difficult to sew. Velvet can be, as well -- especially stretch velvet. Lace can be a real headache when you're working by machine. Finally, choosing costly fabrics, like wool, for your first project is just asking for a double dose of disappointment. What a great opportunity! If you don't have a sewing machine, or have one and don't know how to use it, this is your chance to leap into your local sewing community. A lot of fabric stores, whether locally owned or national chains like JoAnn's, host sewing classes at all levels. Don't be embarrassed, learn something new -- and make some new friends! In addition, you can search for local sewing cafes and meetups through groups like Meetup.com. Also, numerous local libraries now host "maker spaces," or fully equipped workspaces with friendly staff on hand to show you the ropes. If you want to dip your toes into "social sewing," opportunities are all around you. ​​We've already talked about different ways you can get involved in your local sewing community. 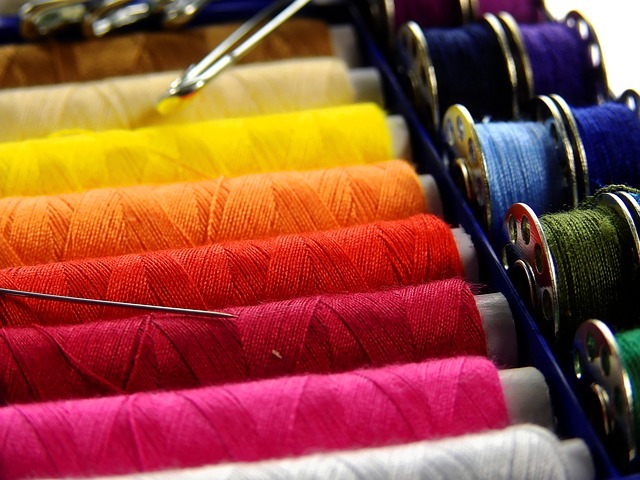 But there are also some ways you can connect with sewing enthusiasts around the world. If you're interested in garment making, Colette Patterns hosts a Sew-along. What's that? It's like an online tutorial, with photos and explanations for specific garments. The great part is, though, that if you have any questions, each tutorial has a teacher who will answer them. Petite Font has a listing of online challenges, clubs, and project prompts that you might enjoy. You can also join a quilt block exchange. Learn to sew and make some friends, help your brain and start making all of your Christmas presents. I promise this is one skill you will be happy you took time out of your busy schedule to learn.